One of the most enduring mysteries of the past few decades could be about to be solved, as a researcher claims to have uncovered a clear photograph of an alien from Area 51 – on film which maker Kodak has dated as authentically being from 1947, the date of the supposed crash. 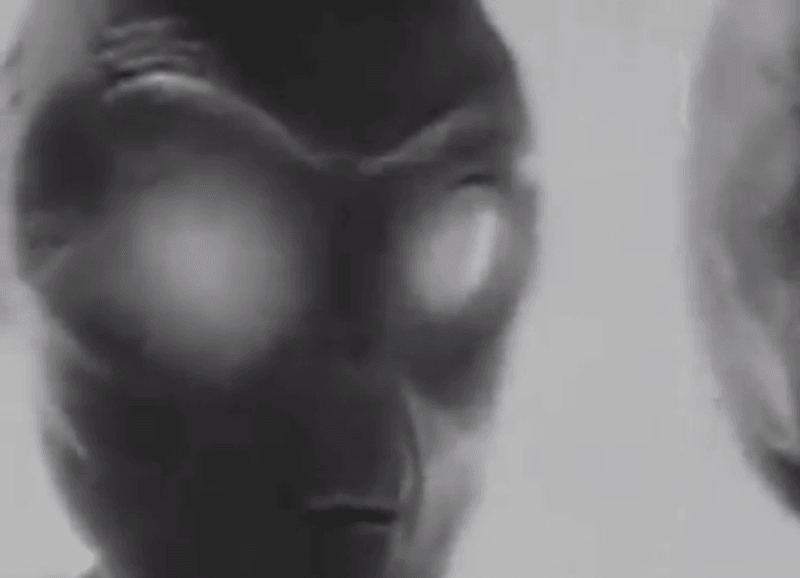 UFO expert Tom Carey was sent images of ‘insect-like’ aliens from 1947, photographed after autopsy inside the secretive facility – by a woman thought to be involved in one of America’s intelligence agencies. Carey describes his discovery as ‘the smoking gun’. Carey has contacted official Kodak historians to certify the authenticity of the film stock – and to ensure the date is accurate. He aims to reveal his findings in full early next year. The content of the images is explosive – showing clear images of aliens under autopsy, something the US has always denied. Several staff at firms such as Lockheed Martin claim that not only were aliens examined at the site, their technology was reverse-engineered to make hi-tech aircraft. Tom Carey has been researching the crash – where many believe that the U.S. government either autopsied alien bodies, or captured them alive – since 1991, and has written numerous books on the subject. He claims that the new image has been certified by Kodak’s official historian as not being Photoshopped – with the expert having examined Kodachrome colour slides showing an ‘alien’ body lying inside a case. Carey says there is a clear contrast between his images and other common images and videos of ‘aliens’ supposedly from Area 51. Carey was sent the slides by a couple in Texas. ‘The woman was a high-powered Midland, Texas, lawyer with a pilot’s licence. We think she was involved in intelligence in World War II, and her husband was a field geologist for an oil company,’ claims Carey.